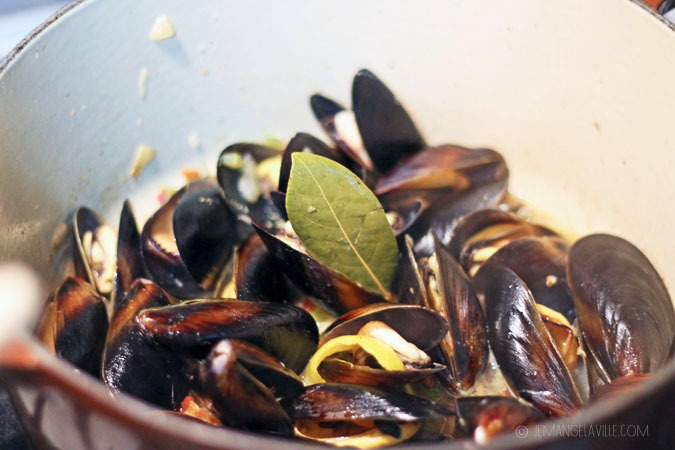 This week’s French Fridays with Dorie is a classic dish – Mussels with White Wine. And with the mussels, it is advisable to have either many pieces of toasty, crusty bread or a big bowl of crispy frites. We went with the bread (Grand Central Sourdough). Mussels (and clams), like Brussels sprouts and fish sauce were something I discovered later in life (or at least later than I would have liked). I think I tried mussels and clams for the first time about eight 10 years ago. Since then, they’ve turned into something that I will make a point to order at a restaurant and even cook at home on occasion. 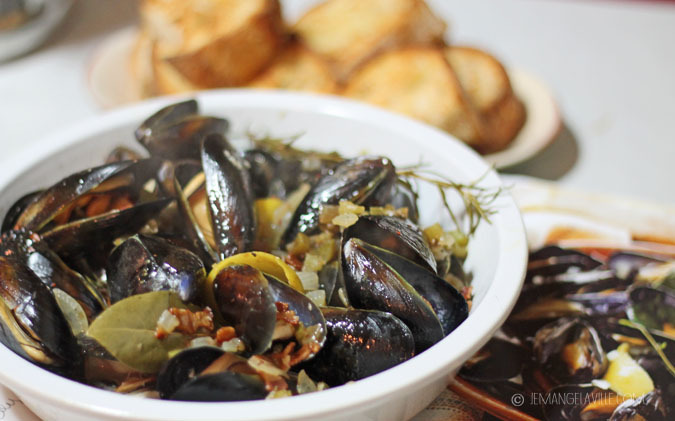 For this recipe, I got a little inspiration from my favorite mussel dish on the planet* – Steamed Mussels Pigalle (mussels with bacon, celery, shallots, and balsamic vinaigrette at Place Pigalle, in Seattle**. I also added a few other things I had in the refrigerator and incorporated everything into Dorie’s classic Moules Mariniere recipe. I tinker. That’s what I do. Oh, and I almost quartered the mussel amount but only halved the amount of other ingredients. Because extra wine/mussel/garlic broth. The verdict? Pretty delicious! Something about bacon, balsamic vinegar, and garlic is pure magic. Especially when you add wine and dipping bread to the mix. All of the other Doristas’ posted their Moules Mariniere dishes here. You should check them out. Adapted from a recipe in Around My French Table by Dorie Greenspan & influenced by a dish at Place Pigalle in Seattle, Washington; serves 2-3. 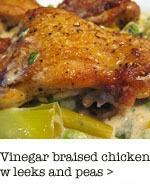 Make a vinaigrette by whisking the olive oil, vinegar, and mustard together until creamy and emulsified. Season lightly with salt and pepper. Set aside. In a large Dutch oven, cook the bacon until crisp. 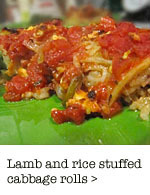 Remove and let cool on a paper towel lined plate. Crumble and set aside. Remove all but about one teaspoon of bacon grease from the pot and return to medium heat. If you wanted to be really crazy, you could add a little butter to the pan too. Add the shallot, garlic, celery, and green pepper. Season with salt and pepper and cook, stirring, for about 3-4 minutes. 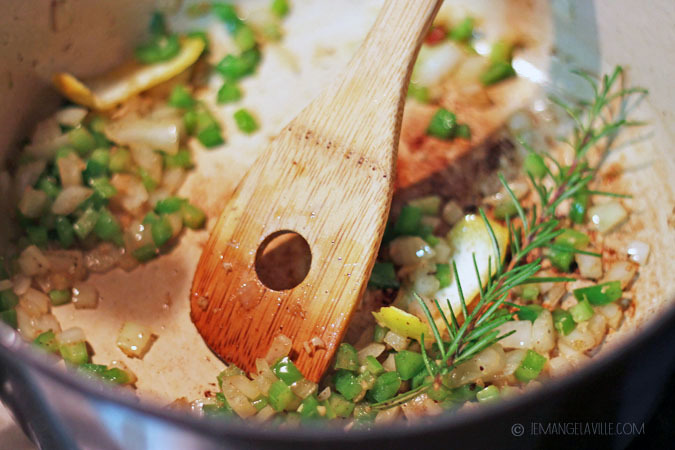 Pour in the wine, and add the rosemary, bay leaf, and lemon zest. Simmer for 3 minutes. Add the mussels and half the crumbled bacon and stir it all around in the liquid. 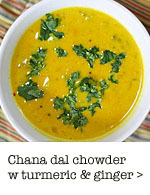 Increase the heat to high and bring to a boil, cover, and adjust heat down to a simmer. Cook covered for 5 minutes, turn off the heat and let mussels sit for another minute. Pour opened mussels out onto a large bowl, discarding any unopened ones. Drizzle the balsamic vinaigrette over the mussels and sprinkle with the remaining bacon. * Second favorite mussels – the Curry Mussels at The Irish Table in Cannon Beach. 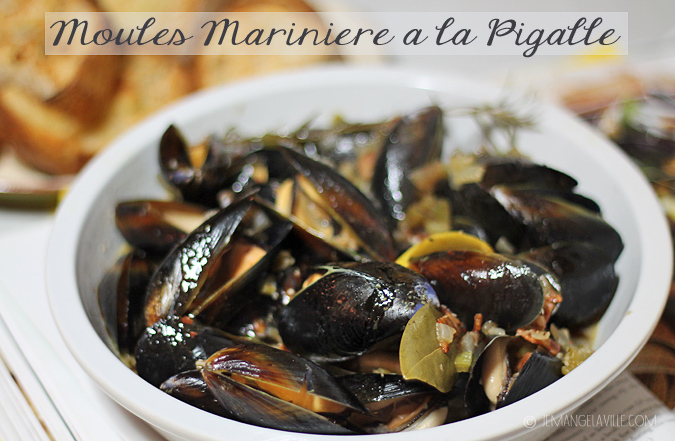 ** My dish is not an actual recreation of Place Pigalle’s mussels, just influenced by it. I was just looking over my photos of our last meal there and I’ve decided I need to head back and have these mussels again. You know, for research. 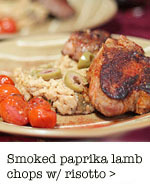 Your version sounds wonderful…love the shot of balsamic…I’m sure the broth was delicious! Like the idea of bacon! Looks great! Beautiful! Of course adding bacon is like cheating… or shooting fish in a barrel. How could this fail?! Beautiful! Pork is awesome with seafood… I ate that a lot in Portugal. 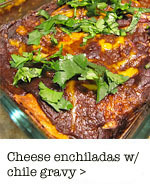 Love your recipe sounds much more exciting than the one we made. Kathy: Thank you, it was! Cher: Yep, I could not resist! Bacon would have been great – wish I had done that! Any other Seattle restaurant recommendations? We are going in September – I have Herbfarm, but would love some other recs. PS, gorgeous photos as always! Christy: Yes! In the downtown area: Lecosho, Dahlia Lounge, Tavolàta are all great for a nice dinner out. For brunch, there’s a little place on first between Pine & Stewart called Bacco that’s good for breakfast/lunch. Also Cafe Campagne for brunch (plus you can make a reservation). Local 360 in Belltown. If you’re over by the Space Needle, there’s a cheese shop around 4th and Denny called The Cheese Cellar that does wine by the glass and HUGE cheese plates for a lunch or snack. What isn’t better with bacon? Your variation looks wonderful. I love Place Pigalle! I’ll have to try the mussels there next time, bacon makes everything better. Bacon must have been an amazing addition. Love that idea! Oh wow! That sounds so good! I may have to try this version soon!